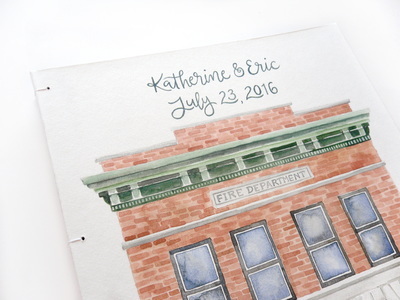 Katherine and Eric were married in a gorgeous, old firehouse in Chicago, Illinois. 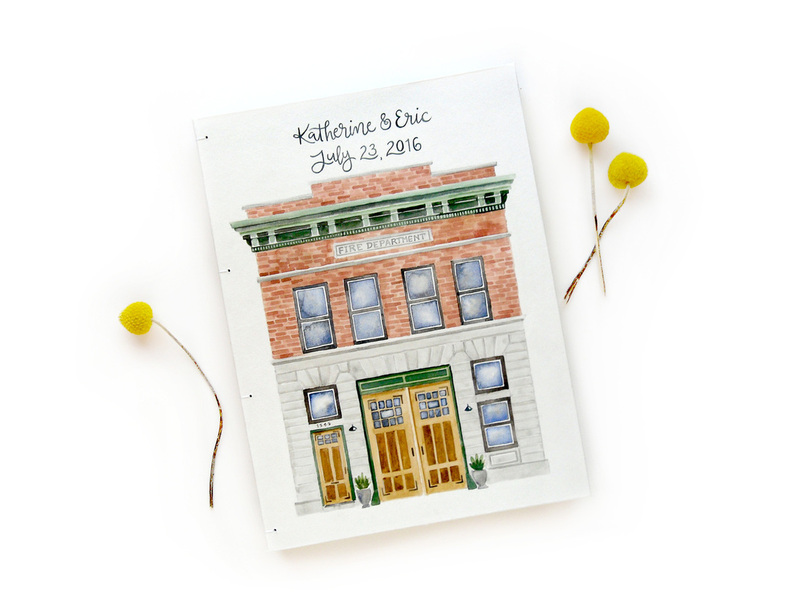 Their wedding guestbook features a watercolor of the building on the front. Inside there's the Chicago skyline across the two front pages. 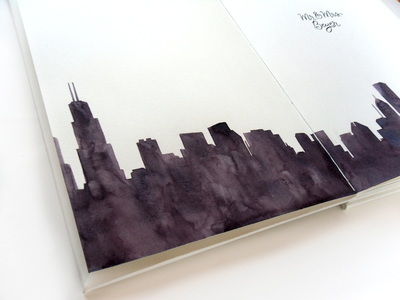 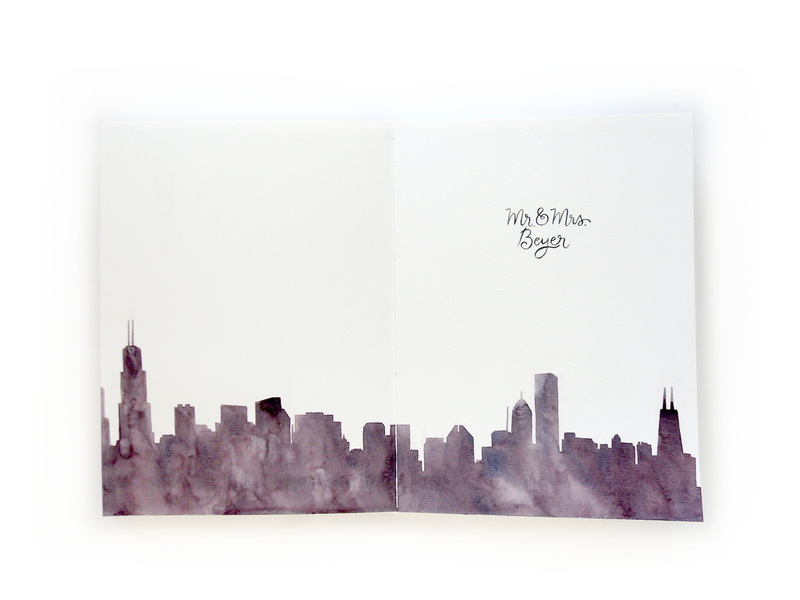 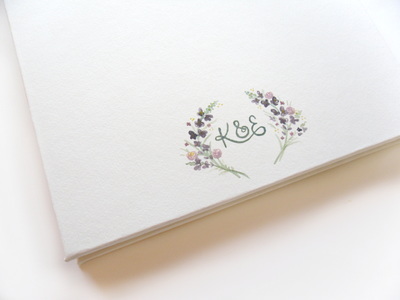 It is covered in watercolor paper, hand-bound with a coptic stitch and filled with watercolor paper.